Trị An is a name of a Hydroelectric plant in Đồng Nai province adjacent to Hồ Chí Minh city. This plant was constructed about 20 years ago, and now this is the main resource of electricity for the South of Việt Nam although there are also other resources from the thermo-electric plants and especially from the North of Việt Nam where the biggest hydroelectric plant, the Sơn La, is under construction. I have lived in Đồng Nai province for 3 years when I started my first years of elementary school, and in 1990, I leaved Đồng Nai and since then I have been living in Hồ Chí Minh city. Sometime, I go to Trị An, where my mother has been working for 20 years, and this trip this weekend is not an exception. Đồng Nai is a well-off region with many industrial firms and many gardens of fruit tree and industrial crops. This province is considered as one of a triad of industrial zone in the South of Viêt Nam, the two others are Hồ Chí Minh city and Bình Dương province. 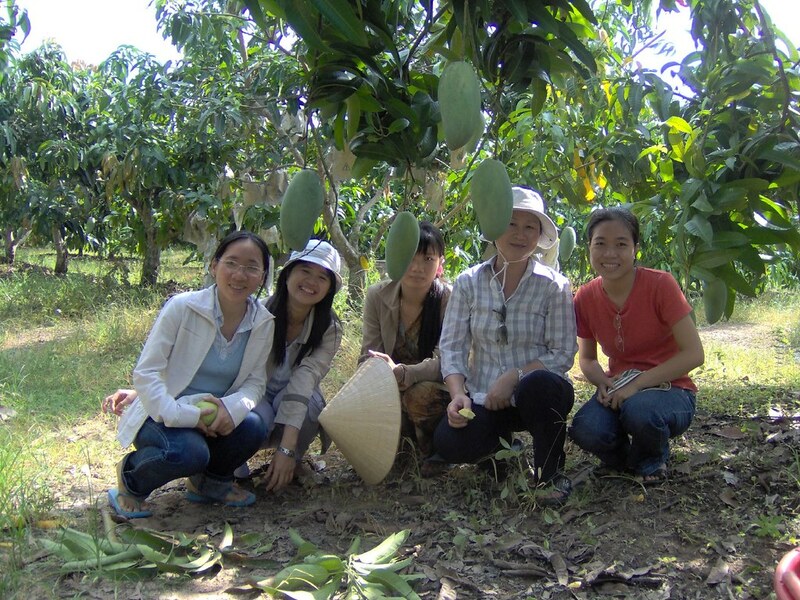 This region has reputation as a land of many kinds of fruits, and we had chance to visit one of the famous fruit gardens, this is a garden of mangos and guavas. The owner said that the race of these plant is from Taiwan, they choose this land for cultivating because this is a fat land. This mangos and and guavas are sold to Metro Cash – the biggest wholesaler in HCM city. We were so impressived by the big size of these fruit. You see, a mango is as big as a coconut. ;-0. These fruit are so sweet both the mangos and the guavas. We ate a lot at the garden with no payment and than we bought some with a cheap price. The mistress is a beautiful and nice person, she looked very happy when we visited her garden although we are unfamiliar to her.